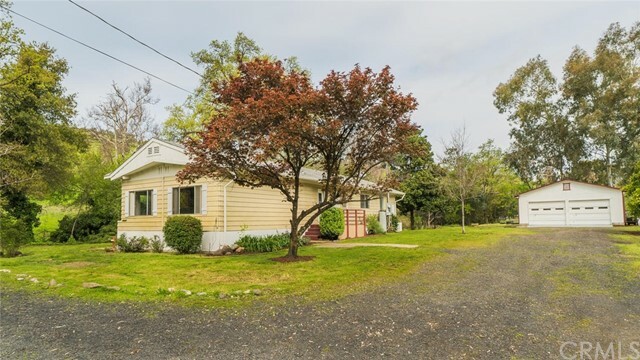 All Butte Valley homes currently listed for sale in Butte Valley as of 04/19/2019 are shown below. You can change the search criteria at any time by pressing the 'Change Search' button below. If you have any questions or you would like more information about any Butte Valley homes for sale or other Butte Valley real estate, please contact us and one of our knowledgeable Butte Valley REALTORS® would be pleased to assist you. 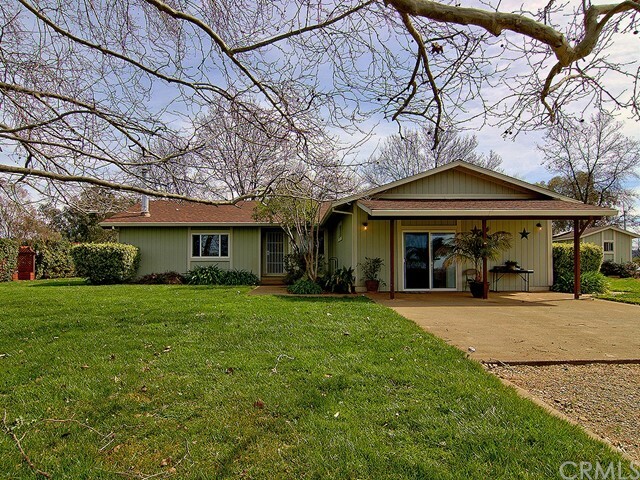 "Butte Valley EQUESTRIAN ESTATE situated on 40 acres nestled in a valley between rocky bluffs and rolling hills. 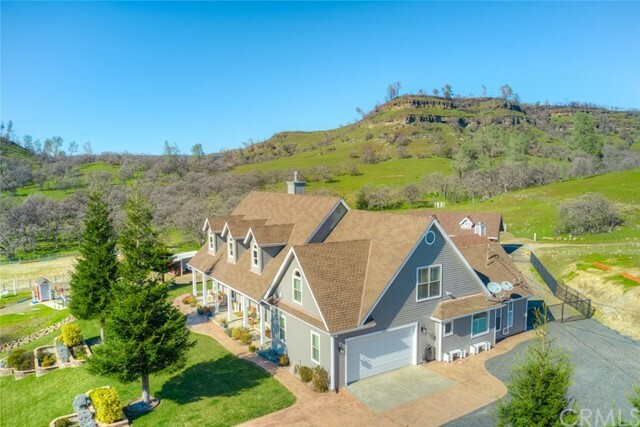 Private gated entry leads into this stunning estate property featuring manicured pastures and western foothill beauty. This working ranch offers an Executive-Style main house with guest house, stand-alone cabana/game room, spa/pool, barn, shop and more! A private 100-yard shooting range sits on the bluff behind. Words cannot adequately describe the stunning beauty of the area or the amazing quality and attention to detail given to the design and construction of this home and grounds. Thoughtful design shows throughout the Main Home which features four main level bedrooms, formal dining room, vaulted-ceiling living room with fireplace and gourmet kitchen with granite counter tops, gas range, and double ovens. Upstairs you'll find a bonus room with bathroom and a wet bar with mini-frig. The guest house shows the same attention to detail with granite counters, laundry room, walk-in closet, and walk-in shower. A 3840 sq ft shop has everything for a working ranch including tire changer, 220 electric, roll-up doors and air compressor piped inside and outside. A gas filling station sits outside and has both gas and diesel tanks. But above all, this property can't be beat for it's equestrian features. A 3000 sq ft barn currently has 4 stalls, fans, covered paddock and more. A horse washing station with hot water sits adjacent." "This is a spectacular, private, and rare 10-acre property, which is surely to make its new owners exceptionally happy. There are so many potential uses that it is difficult to describe this peaceful beauty. The property is highlighted by yearlong flow from Dry Creek that features a beautiful waterfall and swimming spot on the property. There is an amazing bridge across the creek that is a piece of beauty. At the back end of the property and up the hill is a perfect spot to build your dream home that gives an amazing view of the canyon. Instantly live on the current home on the creek, while you are building your dream home up the hill. The home sits creeks side allowing you to closely see the waterfall and listen to the creek from either the back patio or the master bedroom. The home has been freshly painted inside and out, along with new carpeting put into it. There is a full sized detached 2 car garage and plenty of storage sheds. There is multiple gardening spots and fruit tree locations around the home, not to mention a kennel area for your dog s. There is also plenty of space for horses in the front pasture, great for the quad lovers, is set up for RV s connections on the separate detached garage, ample space to store your boat, or simply light a fire in the outdoor firepit to enjoy the quiet along with the hypnotic waterfall. Not to mention that Lime Saddle boat launch just 2 miles away for those who love water entertainment! Don t miss this amazing property today!" 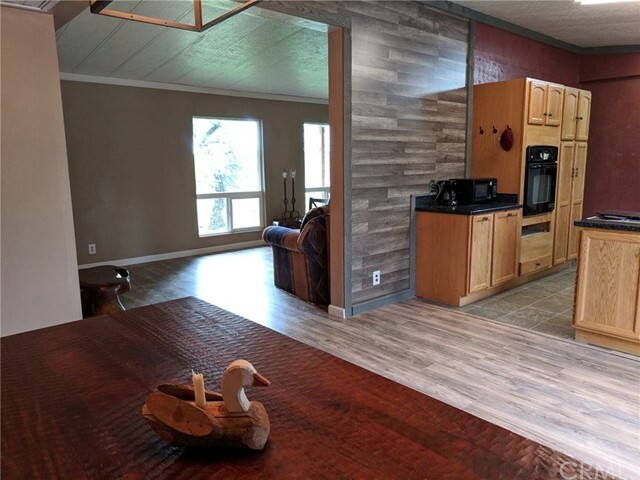 "Picture this custom-built home centered up on 12.68 acres in Butte Valley. Turn-key! Rare in-law unit. About a 10 minute drive to Lime Saddle Marina or Camelot Equestrian Park. The valley vistas from this peaceful location are amazing! Listen to the seasonal creek as you roam the rolling hills on your own property. A-frame windows spill natural light into the lodge-like living room, but the floor plan gives this home real value. Would you like to own an attached guest or in-laws quarters? There are 2 two-car garages so setting up a shop would be a breeze or maybe build another one. The cook's kitchen was recently remodeled: tasteful quartz counters, soft-close drawers, custom kitchen cabinets with built-ins, walk-in pantry and more quality appliances like the wine cooler! Efficient HVAC and tankless water heater. This home is the one for multi -generational scenario or maybe just the place for your guests to come visit you. A 30 amp electric pedestal is in place for a camper or RV. The information contained herein has been obtained through sources deemed reliable but cannot be guaranteed as to its accuracy. Sq. ft., bed/baths , & lot size taken from public records. Buyer is advised to investigate to their satisfaction." 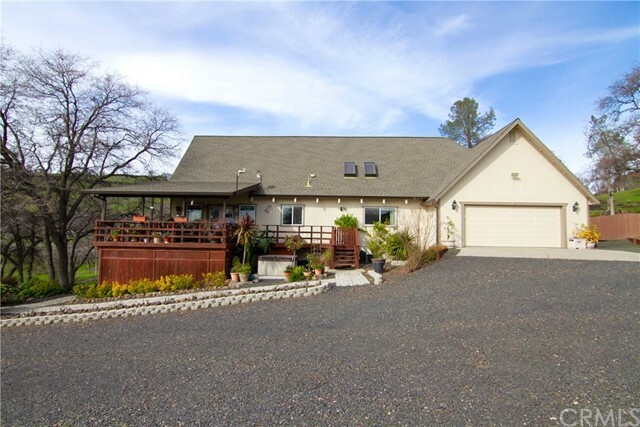 "Delightful and comfortable home on 10 acres in desirable Butte Valley with views of the cliffs and hills beyond. The home features 4 bedrooms, 3 baths, large open kitchen, family dining area, and spacious living room with wood stove. The home sits on a knoll in the middle of the 10 acres providing views of the entire property which has a seasonal pond, seasonal stream, and two fenced pastures for animals. Near the home is a large cement pad intended for a shop. The property is located in the desireable Durham School District. Come and enjoy the peace and quiet of the country and yet be only 20 minutes from town." 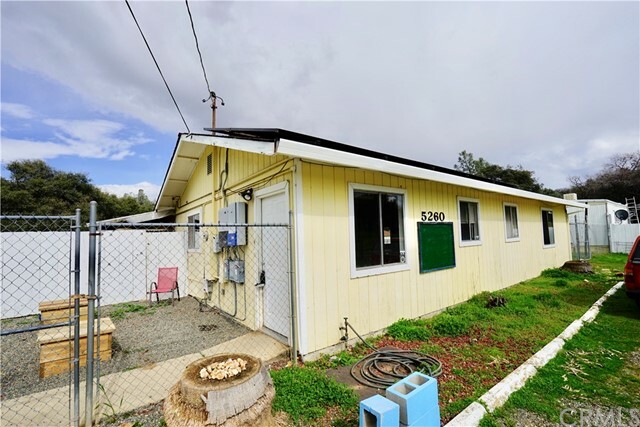 "Recently updated 3 bed 2 bath home In beautiful Butte Valley on 12.25 acres. Updates include Dual pane windows , French Doors , Whole House Fan, Fresh Paint , Laminate Flooring , Bathroom Vanities , Low Flow Bathroom Fixtures , Subway Tile Bath Surround, 440 square foot deck to name some. This Property keeps the horse owner in mind featuring 5 Stall barn with tack area a 125x225 foot Sanded Riding Arena adjacent to a 70 foot round pen. In addition there are 12 large paddocks , 7 containing shelters , 3 Foaling Paddocks, Concrete wash rack , and a welded pipe tie rack. Enjoy your evenings to the sounds of nature while being surrounded by year round springs and ponds. This property is located both out of flood and fire interface zones and is Zoned AG-160 that allows for a second home site . Buyer to verify. More Pics to Come!" "Formerly operated as Critter Care for dog and cat boarding, this 5 acre parcel has an office/retail building with 30 kennels and runs, an office, grooming station, reception area, kitchen, large storage area, and more. The kennel has a swamp cooler for hot summer days, and an electric heater for cold winter nights. There are fenced areas for pets to roam and play, and a few storage sheds on the property. There is also a single-wide 1979 mobile home with 1bed/1bath that does not have a permanent foundation. It was formerly used as a rental, but could also potentially be used as a live/work situation. The property is within the Del Oro Limesaddle District for water (not on well). There is one septic system that serves the property, and a new leach field and pump were installed a couple of years ago. There is one electric meter that serves the property. The property has OWNED solar which keeps PG&E costs very low!"